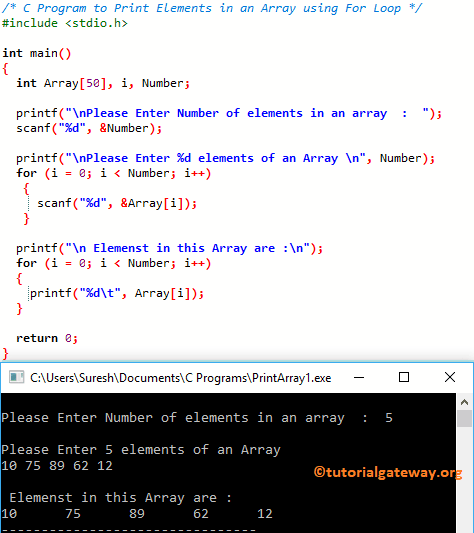 In this article, we will show you, How to write a C Program to Print Elements in an Array using For Loop, While Loop, and Functions with example. This program to print an array in c is same as the first example, but we separated the logic to print array elements using Functions. This print an array in c program is same as the above but this time we used Recursion concept.